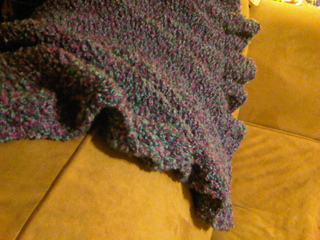 Fast and easy baby blanket! 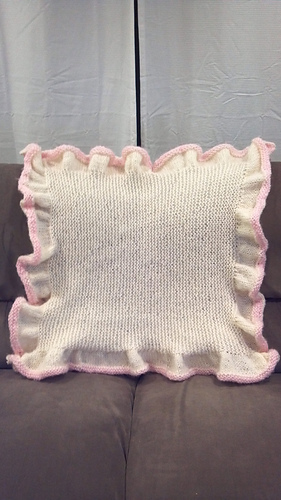 Ruffles worked in the round with mitered corners. 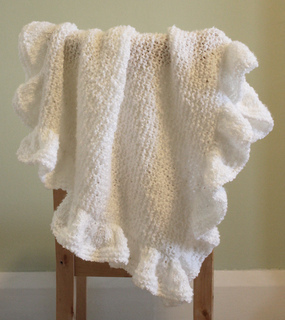 Since the publication of this pattern, Bernat Soft Boucle has been discontinued. 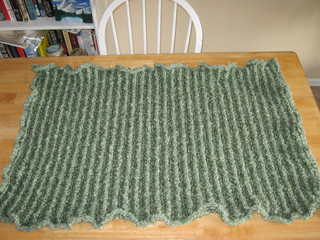 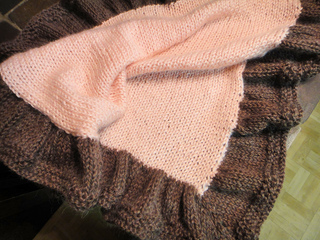 For best results, use a bulky weight yarn with a boucle texture.